Which attributes in an emerging technology company indicate a commercial concept that might succeed? What attracts capital to the “stranger” amidst a crowd of options? How can technological talent be introduced to business principles that bring ideas to market? When is a business accelerator the right fit for an early stage company? How is technology innovation defined, or is it something recognized when seen? Hear two successful serial entrepreneurs, prolific in multiple areas, address these questions and other subjects in an evening of conversation. Professor Ed Roberts of the MIT Sloan School, an accomplished emerging technology investor, entrepreneur and pioneering educator, will also review how often startups survive, how many succeed, their different levels of success, and what matters in generating success. Dr. Susan Amat, founder of Venture Hive and co-founder of the LaunchPad, will share perspectives rooted in her own new venture experiences, and as a founder of centers for promising early stage companies. Jonathan Cole, founder of New World Angels and counselor on entrepreneurial venture finance, will moderate the conversation. 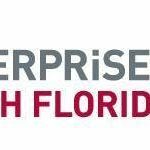 The MIT Enterprise Forum of South Florida proudly presents this event of founders, investors, and mentors to varied emerging technology companies, and entrepreneurship and innovation programs. Enjoy a networking session prior to the discussion between 6:30 and 7:30 p.m., and the formal discussion from 7:30 to 8:30 p.m.
Dr. Edward Roberts, MIT Sloan School Sarnoff Professor of Management of Technology, Cambridge, MA; Founder and Chair, Martin Trust Center for MIT Entrepreneurship, innovative educator, emerging technology investor and entrepreneur. Dr. Susan Amat, Founder of Venture Hive, Miami, FL Co-Founder and Executive Director of the LaunchPad and Blackstone LaunchPad, serial entrepreneur and business incubator founder. Jonathan E. Cole, Partner-in-Charge, Edwards Wildman Palmer LLP, W. Palm Beach, FL; Founder of New World Angels, and advisor to start-up technology enterprises and institutional venture funds.